Joseph "Sepp" Blatter announced his resignation on Tuesday amid the worst scandal in the history of the international organization and only four days after being elected FIFA president for the 5th time. The Guardian described him as "the most successful dictator in the world." Blatter himself has a more modest self-definition: "I am not perfect." On May 27, seven of FIFA's leaders were arrested in Switzerland on the request of the United States Justice Department based on investigations into corruption involving large companies and global tournaments. There is a lot at stake: soccer accounts for over 40 percent of the world's sports revenues, three times the amount of the closest rival. In addition, it has been run by few people: in 111 years of existence, FIFA has had only eight presidents. During the same period, the Catholic Church was led by 10 popes -- and that is a lifetime job! Starting in 1998, Blatter ran an institution with more members than the United Nations. Politically he is the heir to Brazilian Joao Havelange, who took the reins of the soccer world in the 1970s, enabling FIFA to rise above a European and Latin American association to incorporate the African and Asian nations emerging from the process of decolonization. Havelange was a pioneer in establishing business relationships with major sporting goods companies and television networks. The impact: the World Cup is the most watched sports event in the world -- its final draws the attention of more than 10 percent of all humanity! The nature of these FIFA agreements is exactly what is at the heart of the indictment initiated by the United States Department of Justice. Among the leaders arrested are fat cats of Latin American soccer, like the former president of CBF (Brazilian Football Confederation), Jose Maria Marin, and his colleagues in Costa Rica and Paraguay. Buying a soccer club or taking command of a national federation is a passport to politics generating enormous visibility to the head of such institutions. Silvio Berlusconi in Italy and Mauricio Macri in Argentina followed these steps and acquired A.C. Milan and Boca Juniors respectively, and there are several other examples of Brazilian politicians who got elected owing to their experience as soccer players or fat cats. In this regard, FIFA is simply the apex of a pyramid of relationships and agreements that start at the local level. However, this increasing display has also translated into growing pressure for transparency and accountability, including large street protests. The 2010 World Cup in South Africa was the first marked by strong protests questioning the model of mega events sponsored by FIFA, the priorities for spending on stadiums and the lack of attention given to a host country's social problems, such as the elimination of slums because of infrastructure works before the tournaments. With few changes, that was also the script for the protests that happened during the 2014 Cup in Brazil. Equally powerful catalysts were the various corruption scandals that took place during the organization of these events. 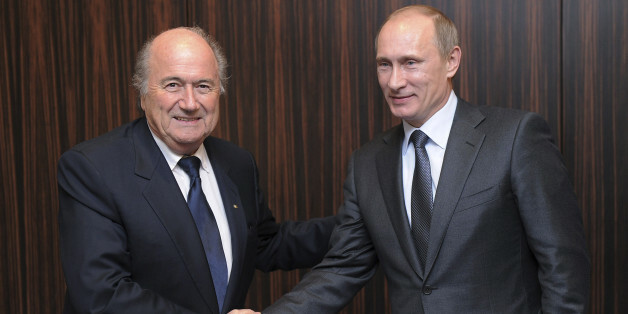 Another factor fueling the controversy is the close relationship between FIFA and shady governments. For example, the Cayman Islands have never played a World Cup, but this tax haven, with less than 60,000 inhabitants, became a major power within the organization, receiving huge investments to develop its sports infrastructure. The decision to host the next World Cup in authoritarian countries like Russia and Qatar have also received a lot of criticism, echoing the setup that took place in 1978, when the military dictatorship in Argentina used the tournament as an instrument for political propaganda. However, it is more difficult for FIFA to cope with this kind of pressure now, in a world with better interconnected and active human rights networks, one that questions abuses, such as the crackdown on opponents of the Russian government, or the use of slave labor in the constructions of sports stadiums in Qatar. The processes that led to both choices are subject to an investigation by the Swiss justice that started after the leaders arrests. FIFA is perhaps the most important international organization in which the United States does not play a leadership role, so there is speculation about the political interests the Obama administration would have in Blatter's removal, putting in charge someone who could be more sympathetic to their purpose -- creating, for example, obstacles to Russia's ambitions. Blatter's main rival is Prince Ali bin Hussein of Jordan, a country that is a solid American ally in the Middle East. Europeans, through UEFA, were also crucial to the resignation of FIFA's president, even threatening to boycott the 2018 World Cup in Russia -- a country with which the European Union has major disagreements due to the armed conflict in Ukraine and the Russian annexation of Crimea. "Football is not about war and peace," said the former president of Costa Rica, Oscar Arias, "It's about something much more important." The sport that hundreds of millions of people are so passionate about mobilizes political and economic forces. No doubt it deserves a more transparent, clean and effective governance structure. However, these efforts will not take place on neutral ground, but in the midst of fierce competition for power and international influence. This post was originally published on HuffPost Brazil and was translated into English.